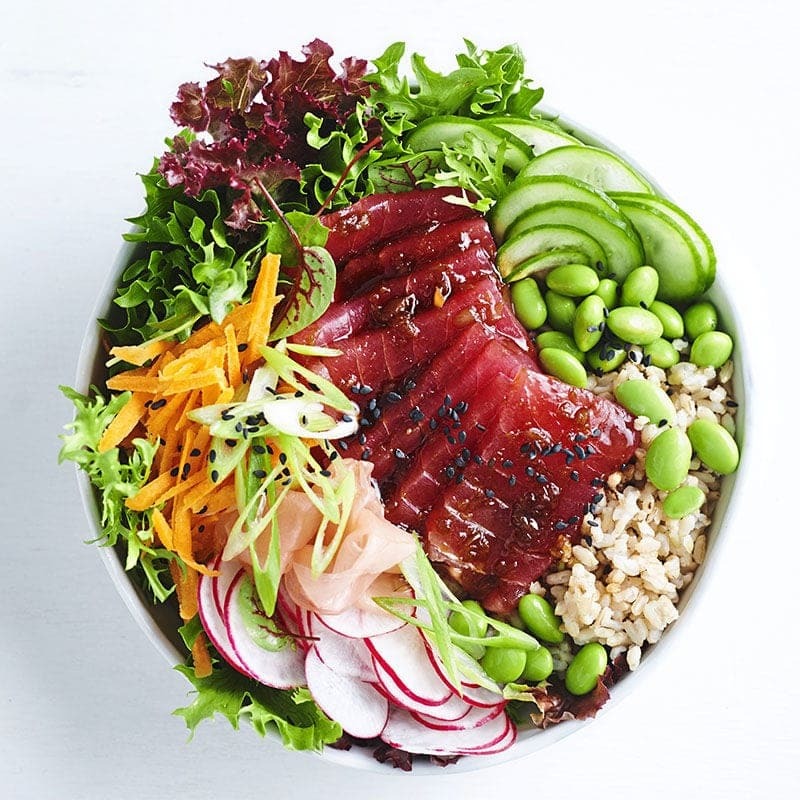 Poke Bowls have been a food trend favorite this year and it looks as though it’s a healthy choice that is here to stay. With more Poke restaurants popping up, more and more people are trying and falling in love with this simple and quick yet delicious meal option. Ideally made within a few minutes, Poke is also becoming a winner at home. 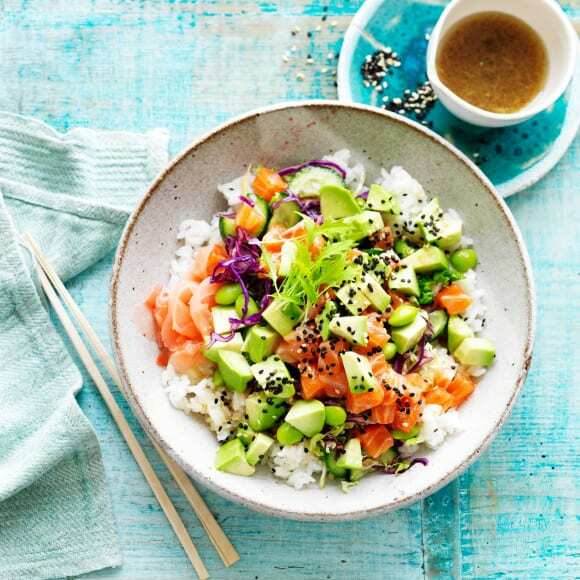 Poke (pronounced poh-kay) is a tradition Hawaiian fish salad that has been changed slightly with a rice base added as well as it being served in a bowl – let’s say it has been made ‘Insta-worthy’. The dish is topped with raw fish accompanied by an Asian sauce, usually a soy sauce and/or a sesame oil. But don’t worry if you don’t eat fish, these dishes are just as tasty without and can be easily adapted to how you wish. 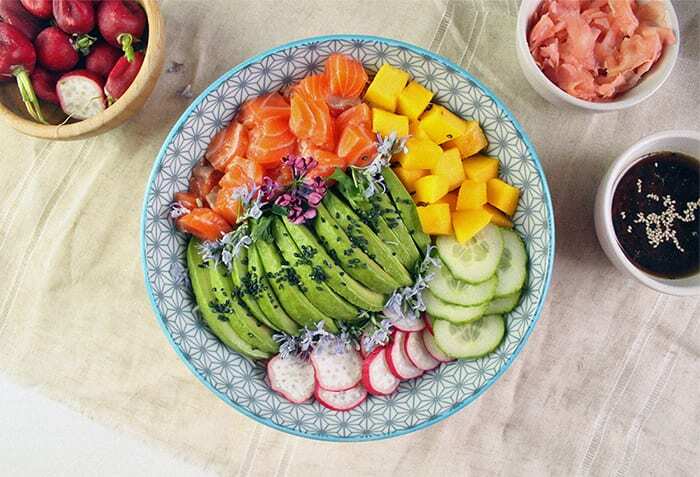 The best thing about a Poke Bowl is that you can choose all of your favorite veggies and fruit and add them to the dish. Popular options are avocado, cucumber, tomato, mango, carrot, sweetcorn and edamame – but honestly, you can add whatever you desire. Cut everything into smaller-medium pieces and decide on your base, we recommend a white, brown or better yet, quinoa. Poke Bowls are typically made with raw fish. Fish such as Salmon, Yellow Fin Tuna and Ocean Trout are front-runners. If you’re dreaming of a Poke Bowl but don’t have any of these in the house, don’t be scared to add a tin of tuna instead. Start by adding your chosen base, add as much as you want but don’t forget to leave room for all the goodies. One of the best things about the Poke Bowl, is that you can have fun and decorate it with the salad and then add the fish on top. 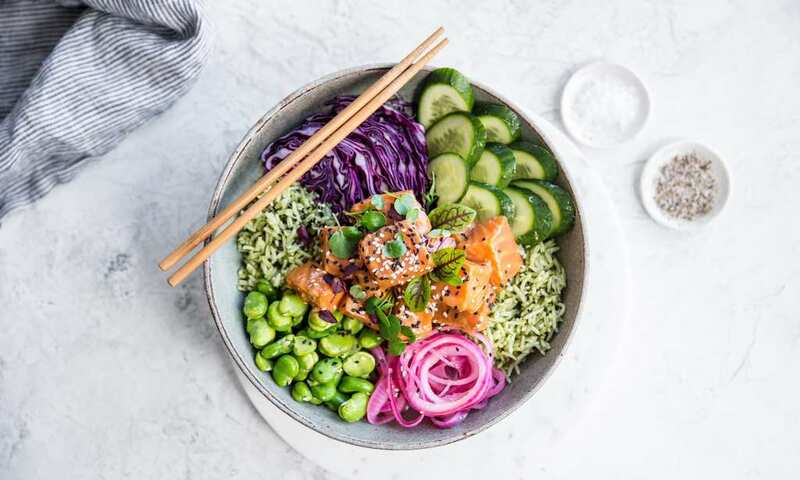 To finish the bowl, try garnishing it with dry onions or sesame seeds – or both, and drizzle with a soy/sesame oil, spicy mayo, cilantro or whatever your stomach desires.